FCSC is proud to announce Jarron Brooks as Academy Director. Jarron brings a wealth of playing and coaching experience to the club and the Academy program. Jarron is a Prince George’s County native who has played for club teams such as Freestate, Baltimore Football Club (BFC), Bethesda (Internationals; 4 state cup championships), and Baltimore Bays (1 state cup). As a youth player, Jarron played on the Maryland Olympic Development Team for 4 years. During his 2 year High School Career he played for Archbishop Carroll in the WCAC where he earned all conference honors each season. During his senior year he earned WCAC player of the year, 1st team All Conference, 1st team All-Met (Washington Post), and Gatorade Player of the Year (Soccer). Jarron earned a full scholarship to play soccer at the Saint Francis University in Loretto, Pennsylvania (D1, Northeast Conference). During his four-year collegiate career he was fourth all time in assists at the university. Jarron was able to win all conference honors each season, as well as 1st team regional ALL America honors (NSCAA) in each of his seasons. During his senior year he helped lead Saint Francis University to the Conference Finals where they lost to Central Connecticut University 1-0. He was able to earn 1st team player of the tournament honors. After graduating from Saint Francis University, he began to coach youth players with Freestate, coaching U8 and U9 girls teams with PFA in Southern Maryland, and currently coaches the Varsity Boys team at Frederick High School. We look forward to having Jarron working with our Academy beginning this Spring . 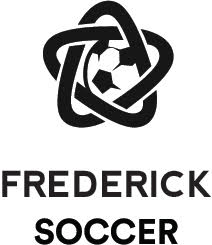 Copyright © 2001 - 2019 Frederick County Soccer Club. All Rights Reserved.